Fresh tuna-topped lotus chips and mouthwatering chicken dumplings bu chef Evelyn Garcia at Decatur Bar & Pop-Up Factory. Photo by Josh Armendariz. Houston continues to impress with a plethora of new dining options that open month after month. February is no different and introduces barbecue, Chinese-style roasted meats, new Tex-Mex and even a fresh pop-up restaurant and bar. While barbecue holds a heavy presence this month thanks to the openings of Blood Bros. BBQ and Truth BBQ, other newcomers include Decatur Bar and Pop-Up Factory and additional locations from familiar favorites Dish Society and Perry’s Steakhouse and Grille. Beef ribs at Blood Bros. BBQ. Photo courtesy of Blood Bros. BBQ. 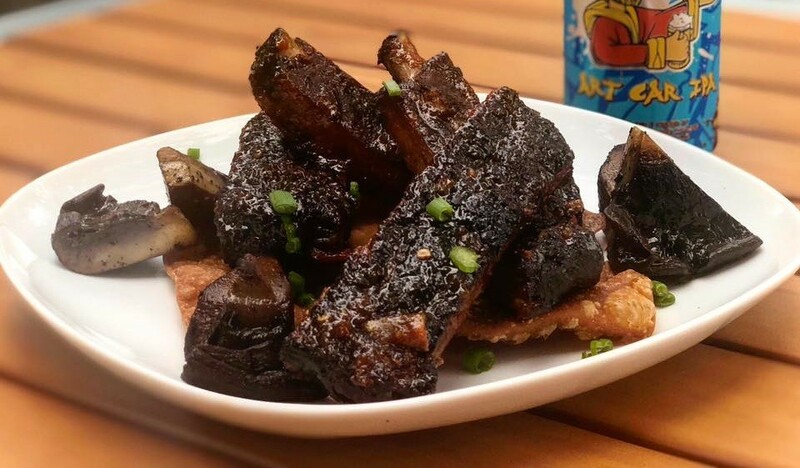 Blood Bros. BBQ, 5425 Bellaire Boulevard: There’s been high anticipation for the Wong brothers’ first brick and mortar barbecue restaurant has been high thanks to the cult-like following they’ve cultivated over the past few years. Pitmaster Quy Hoang’s oak- and pecan-smoked brisket, pork ribs, turkey and sausage are so popular that sell-outs are happening even before the 3 p.m. closing time. On Saturdays, be sure to get in line early for a chance to try the beef ribs with a side of roasted creamed corn. Blood Bros.’ other intriguing east-meets-west daily specials include smoked turkey bánh mì and green curry boudin. 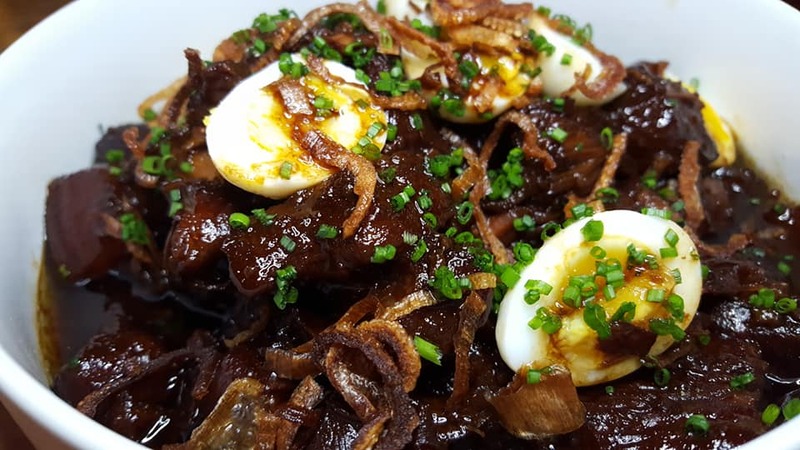 Chef Evelyn Garcia’s Shanghai-Style Braised Pork with quail eggs and crispy shallots at Decatur Bar and Pop-Up Factory was a huge hit at a recent Club Houston Food Finder reader dinner. Photo by Gregory M. Buchold. Decatur Bar & Pop-Up Factory, 2310 Decatur: This new restaurant from partners in the original Beaver’s, Adam Brackman and chef Monica Pope, aims to bring Houstonians a constantly new experience. The venue features a rotating chef-in-residence lineup that offers each the chance to build momentum for opening his or her own brick and mortar concept. The first chef showcased is Evelyn Garcia, a world-traveled chef who won Food Network’s “Chopped” in 2014 and hosted frequent pop-ups around Houston. Decatur offers walk-in service for light bites, a full bar and tasting menus every Friday and Saturday nights for $65 per person. Seatings are at 6 and 8 p.m. The current Chinese New Year-themed menu offers intriguing options like Longevity Noodles with Napa cabbage, shiitake mushrooms and sesame, Shanghai Style Braised Pork with quail eggs and crispy shallots and sweet walnut dumplings. (Don’t expect that menu to stay long.) On the beverage side, bartender Leslie Krockenberger has curated a cocktail program with unique rotating creations such as the Red Silk Smoking Jacket made with Monkey Shoulder whisky, white port, Granada vallet bitters, ruby molasses, angostura bitters and smoked spice mix. There is also a selection of wines and craft beers. 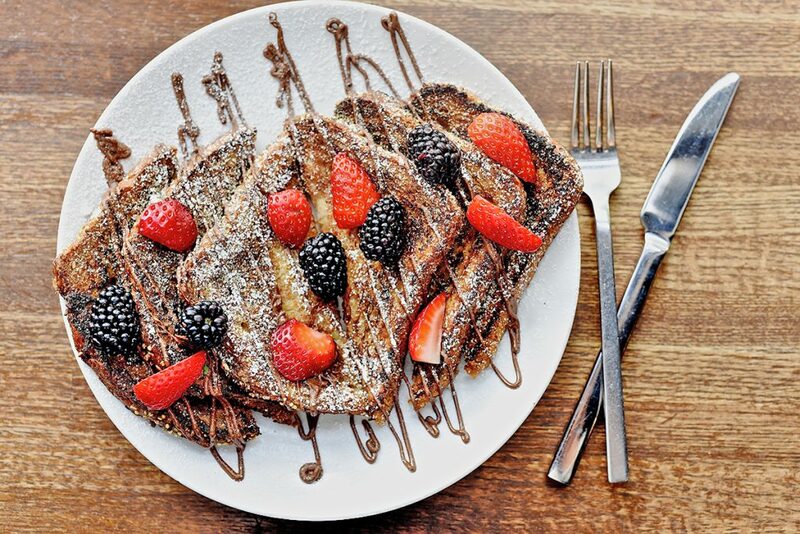 The Nutella French Toast with berries at Dish Society. Photo by Kimberly Park. Dish Society, 1050 Yale: The Houston-based, farm-to-table chain Dish Society recently opened a Yale street location inside Heights Central Station. Popular for upscale casual fare, local coffee, wine and beer, the Heights location houses a bigger bar and larger beverage selection (including craft cocktails) along with a living room-style area for lounging and even playing a game or two. Like its predecessors, the new location has counter service for breakfast, lunch and brunch and switches to full service for “social hour” (Dish Society’s term for happy hour) and dinner. Some tried and true favorites include the Nutella French Toast on the breakfast and brunch menus, 44 Farms chimichurri steak tacos and deconstructed chicken pot pie, both on the lunch and dinner menus. With the bigger bar space and cocktail list, Dish’s social hour Mondays through Fridays from 3:30 to 6:30 p.m. is worth checking out. 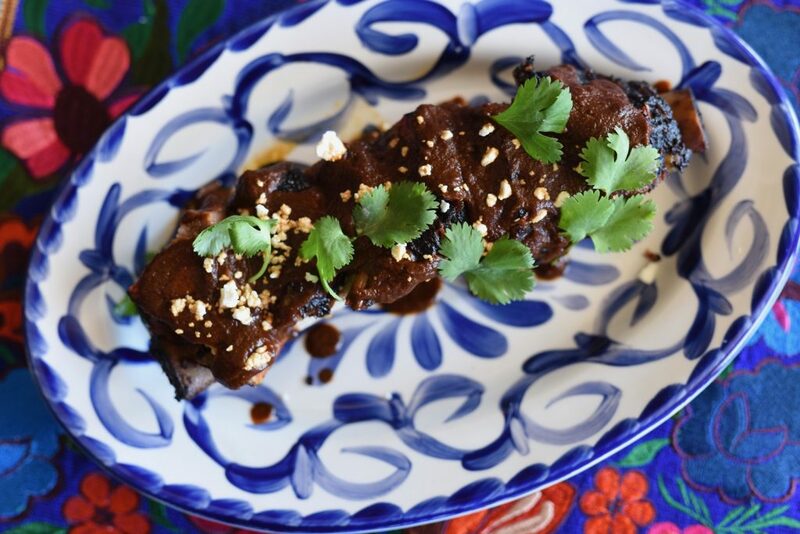 Thai Chili Ribs at Elliot’s Table. Photo courtesy of Elliot’s Table. Elliot’s Table, 465 T C Jester Boulevard: Helmed by owner and chef, Elliot Roddy, who earned his stripes at the defunct Bramble, among others, Elliot’s Table offers a rotating menu served in a family-style atmosphere. Nestled inside the corner end of a strip center, the small space is comfortable and cozy and there’s also an outdoor patio. For dinner (served nightly except on Mondays and Tuesdays), guests can enjoy shareable starters like the Cake & Bacon bread service, deviled eggs and Thai chili ribs. For those looking for main courses, the Gulf Shrimp and Grits, 44 Farms Ribeye and the hand-formed cheddar or blue cheeseburger are perfect choices. While Elliot’s Table is currently only serving wine and beer, there are over a dozen well-priced wines by the glass and several by the bottle. 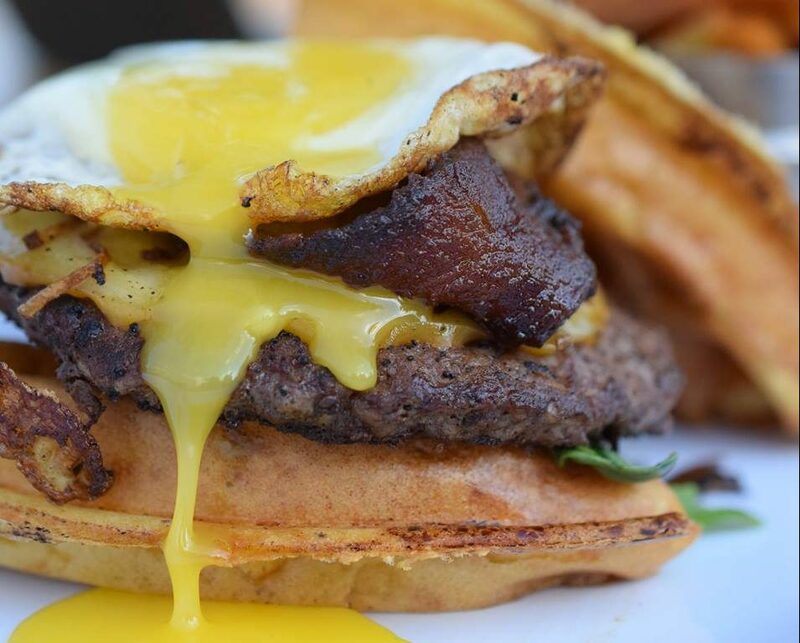 Fried egg, housemade bacon and beef patty on a waffle by Craft Burger Food Truck. Photo courtesy of Finn Hall. Finn Hall, 712 Main: The new downtown’s food hall is now open in the JP Morgan Chase & Co. building and is home to 10 independently-operated dining establishments. Together, these represent an eclectic range of Texas and global fare and there are also two full bars. Local favorites Dish Society, Mala Sichuan, Goode Co. Taqueria, Craft Burger and Amaya Coffee all have counters along with Oddball Eats, Korean-inspired Yong, and Vietnamese Sit Lo. Find Gulf coast seafood at Low Tide (from Alli Jarrett, the owner of Harold’s Restaurant & Tap Room) and pizzas from Mr. Nice Pie. The hall’s primary bar on the ground floor, St. Jac’s, serves specialty cocktails and wines on tap while the upstairs lounge, Swallow’s Nest, is an intimate hideaway with a great view of the goings-on below. Finn Hall is open Mondays through Thursdays from 7 a.m. to 11 p.m., Fridays from 7 a.m. to midnight, Saturdays from 8 a.m. to midnight and Sundays from 8 a.m. to 10 p.m.
A bowl of the spicy Tan Tan Udon at Ishin Udon. Photo by Beth Levine. Ishin Udon, 9630 Clarewood: Restaurateur Mike Tran continues his takeover of the plaza on Clarewood with his latest venture, Ishin Udon. The Japanese spot opened in early December next to Tran’s Ohn Korean Eatery, Blkdog Coffee, Mein and Night Market. 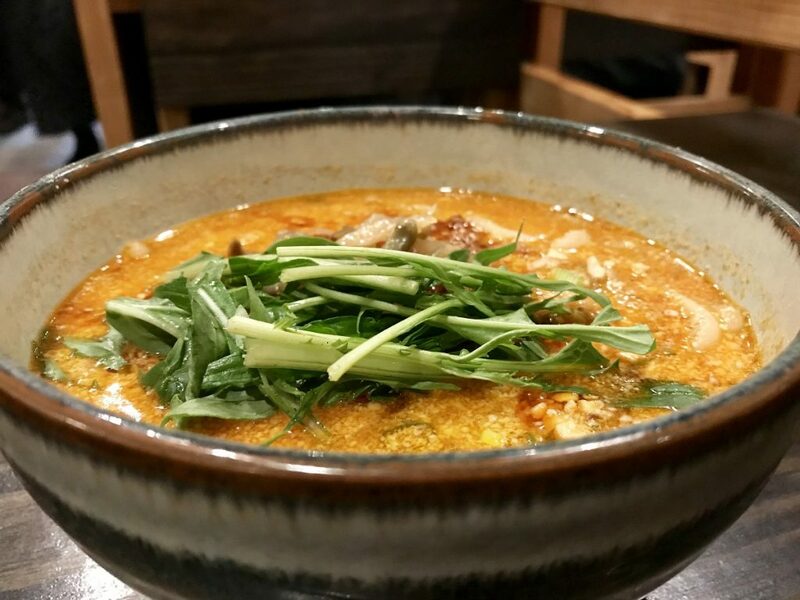 On the menu are traditional udon bowls and standouts include Niku Tana Ankake, a thick, egg-based soup with sliced beef and scallions; and the very spicy Tan Tan Udon with Szechuan-style minced pork. Interestingly, there are also untraditional, Italian-inspired noodle dishes such as Crab Meat Truffle Cream Udon and Carbonara Udon. Ishin also offers a selection of curry rice and udon selections like the Brisket Curry Rice and the Creamy Curry Udon with bacon, onion, mushroom, potato cream and cracked pepper. Those looking for a little more to eat with their noodles can choose from two dozen extras and appetizers such as the Pumpkin Tempura or Takowasa (marinated raw octopus, sesame and roasted seaweed). While there are currently no alcoholic beverages, local craft beer from Saint Arnold, 8th Wonder and Karbach —as well as regional beers like Kirin Ichiban and Asahi and a selection of cold and hot sake — are supposed to be coming soon. Killen’s TMX, 9330 Broadway, Pearland: Barbecue master, Cordon Bleu-trained executive chef and restaurant owner Ronnie Killen (of Killen’s STQ, Killen’s Barbecue, Killen’s Steakhouse, Killen’s Burgers) opened the Tex-Mex restaurant in December in Pearland. As it turns out, though, the menu is deeper and more thoughtful than expected, incorporating not only traditional Mexican dishes but also the smoked meat perspective that is an important part of that culture. The scratch-made Mexican essentials include salsas, tortilla chips, corn tortillas and mole. Standout dishes include Barbacoa Short Rib, charred octopus and Creamed Corn Empanadas. Make sure to leave room for dessert as pastry chef Samantha Mendoza has put together a show-stealing assortment of Mexican-themed treats such as churros with housemade cajeta ice cream and chocolate sauce and an imaginative take on Tres Leches. Perry’s famous pork chops can now be served inside the loop. Photo courtesy of Perry’s Steakhouse & Grille. Perry’s Steakhouse River Oaks, 1997 West Gray: The popular, Houston-based steakhouse chain opened its first location inside the 610 Loop this week. It’s a two-story, 12,000 square foot space in River Oaks. Diners can expect familiar dishes such as Perry’s Signature Fried Asparagus and ample, bone-in meat cuts including the 32-ounce Tomahawk Ribeye and the double cut lamb chops. On the Bar 79 menu are small plates such as pork chop bites and Sliders 79. Another appeal of Perry’s newest addition is the outdoor patio that overlooks West Gray. 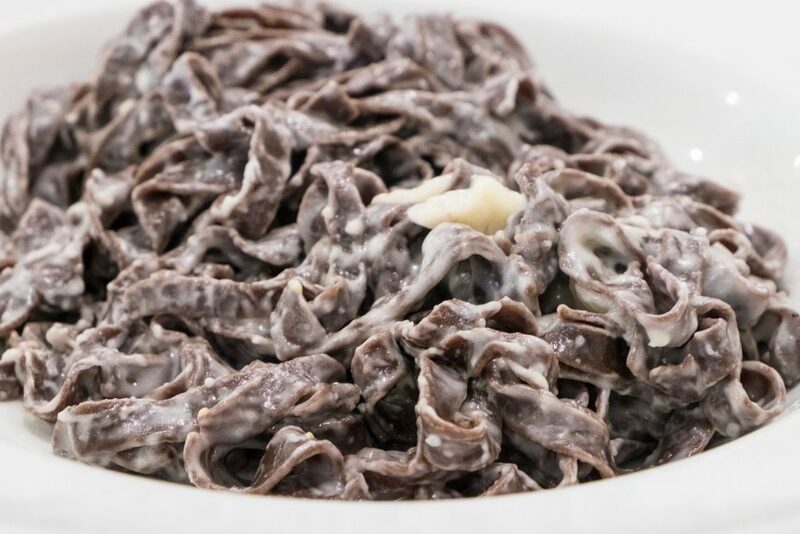 The classic cacio e pepe from Sud Italia is reborn at Roma but with the twist of earthy cocoa-infused fettuccine. Photo by Phaedra Cook. Roma, 2347 University Blvd: To start off the new year, restaurateur Shanon Scott decided to take his Italian eatery, Sud Italia in Rice Village, in a new direction. Roma, in the same space now freshened up with fresh grey-blue paint, old Italian photos and new furniture, focuses on a more casual dining experience. The menu draws inspiration from classic Italian dishes with an emphasis on pasta (the revamped cacio e pepe with cocoa-infused fettuccine and pecorino-Romano cheese is a surefire hit) and introduces new menu items like the Roman-style pizza of the day at lunch. While Roma’s overall menu isn’t exactly a sweeping change from Sud Italia, it’s a step in the right direction. In the near future, Scott also plans to roll out the restaurant’s first cocktail program. Freshly roasted meats at Siu Lap City. Photo courtesy of Siu Lap City. Siu Lap City, 2808 Milam: Originally located in the now-closed Long Sing Supermarket east of downtown, Siu Lap City now has a storefront next to Pho Saigon Noodle House and Khon’s Wine Darts Coffee Art. Siu Lap offers a selection of Chinese-style roasted meats by the pound, such as pork belly, duck, barbecue pork and ribs. 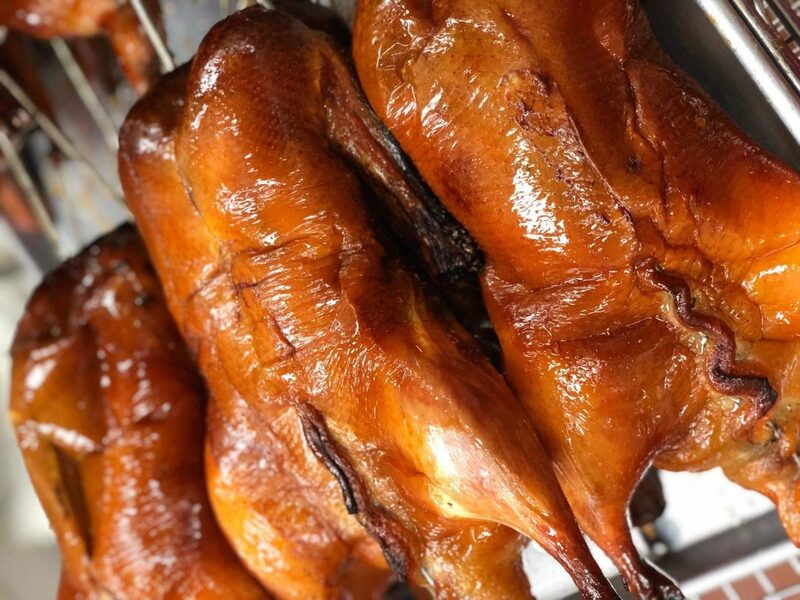 There’s also whole Peking duck, steamed or soy sauce chicken, beef tripe and braised organ meats. Patrons can even order a whole roasted pig, as long as they do so three days in advance (an up-front cash payment is required). The lunch special is a good way to sample a variety of the meats. It comes in small and large sizes with one or two meat choices and a vegetable. Try the baby bok choy topped with a choice of duck sauce, hot chili oil or ginger onion sauce. 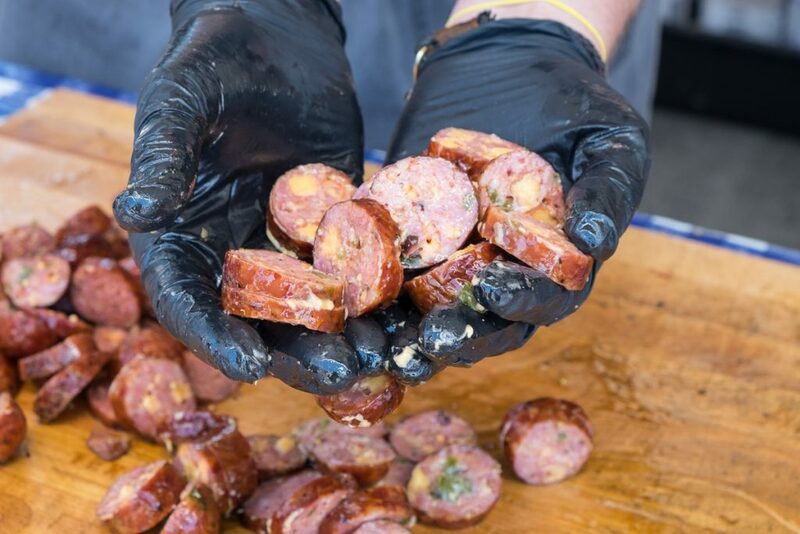 Jalapeño sausage from Truth Barbeque in Brenham. Photo by Phaedra Cook. TruthBBQ, 110 South Heights Boulevard: As our second barbecue entry on the list, Truth BBQ opened its highly-anticipated Houston brick and mortar on Heights Boulevard in the former J. Black’s space. Garnering quite a reputation with its flagship outpost in Brenham, be ready to wait in line (and prepared if they run out!) when visiting the Houston location. 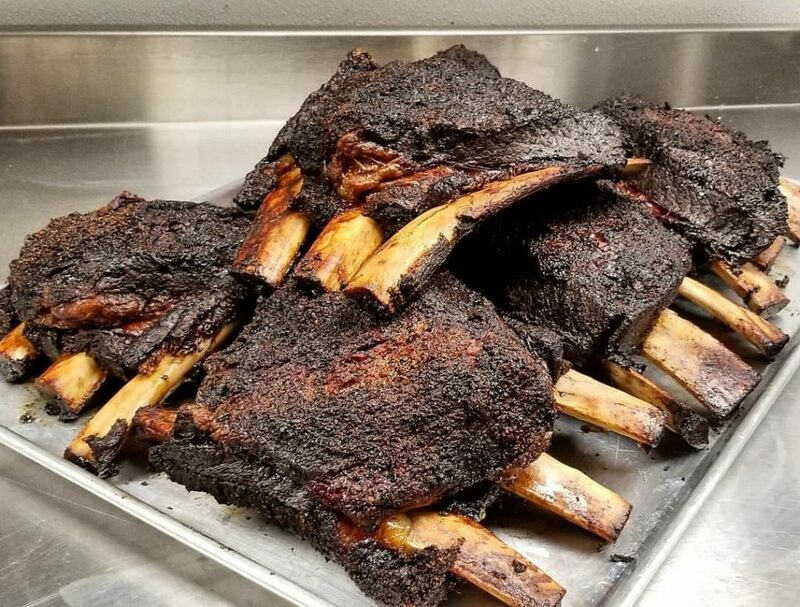 Pitmaster Leonard Bottello IV is working with an expanded kitchen, more cookers and even some private dining options to bring Houstonians his accolade winning barbecue. We recommend getting the brisket, the Saturday only beef ribs and the jalapeño cheddar sausage; but be sure to leave room for some of Truth’s decadent sides like corn pudding, mac & cheese with bacon and the collard greens. Coming soon: The Heights is soon getting Savior and then, later this spring, the just-announced Squable from Bobby Heugel, Justin Yu and Steve Flippo, who are also partners in Better Luck Tomorrow. Not to be outdone, River Oaks District is getting two new seafood places: Loch Bar and Ouzo Bay. About the author: Beth Levine writes about food, drinks, lifestyle and travel for local and national publications including My Red Glasses, Houstonia, Local Houston Magazine, Charlotte’s Book and Houston Food Finder. An executive assistant by day and freelance writer by night, Beth is originally from both New Jersey and California, but currently calls Houston home. You can follow her on IG @Yogaspots. Enter your email address to subscribe to Houston Food Finder and receive notifications of new posts by email. Top Chef Masters winner Chris Cosentino is bringing another concept to the bayou city at the C Baldwin Hotel downtown. Rosalie Italian Soul is scheduled to open in the fall. Click through to read Phaedra Cook on the opening, inspiration and what to expect from the ambitious new project. 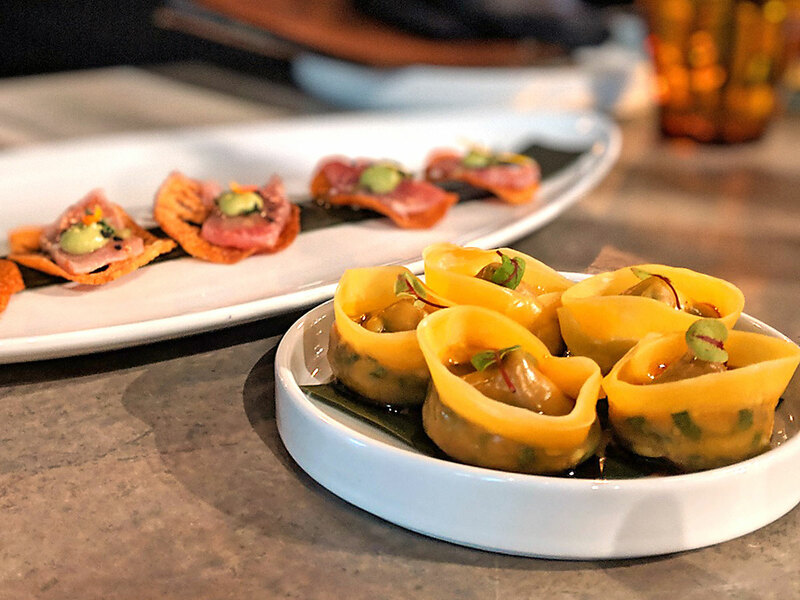 Chef Chris Cosentino, a West Coast restaurateur and Top Chef Masters winner is opening an “Italian soul” restaurant named Rosalie in downtown Houston. Italians love Easter, and at Roma Ristorante you can experience the aromas and flavors of an authentic Italian Easter menu. Read for all the details.